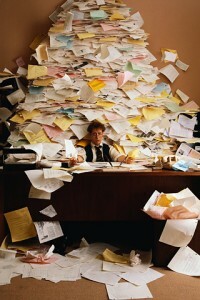 Excess paperwork getting you down? As a small business owner, you have more important things to do than to keep your own books. I can take care of the books for you so you can get back to running your business. Invoicing & Accounts Receivable – We will get your invoices out promptly and send monthly statements. Accounts Payable – We will record invoices you receive from vendors. On a schedule set by you, we can prepare the payments for you. Payroll & Payroll Taxes – We are happy to provide complete payroll services for our clients. If you run your own payroll, we can help prepare your tax filings. How does this work? You can email or fax us your documents on a schedule that is convenient for you. We will process them as necessary and maintain a complete set of books for your business. Professional, timely and accurate reports will be provided to assist you in running your business. Email us today at bill@billsolo.com to find out how we can help you manage your business finances by taking the worry of routine bookkeeping off of your shoulders. Remember: You’re not just buying bookkeeping services, you’re buying the peace of mind that comes with knowing that an experienced accounting professional is overseeing the financial health and well-being of your business. You are frequently paying late fees for missing the due dates on your credit cards. You have independent contractors and aren’t sure how to track their payments for 1099 reporting at year-end. You have to check with the bank to see how much money is in your account. You check caller ID when the phone rings to see if it’s another collection call. You’re not entirely sure who owes you money. Your year-end tax bill was bigger than you expected. You have to pay a CPA to prepare financial statements so you can get a new bank loan. You would rather be selling or consulting or doing-what-you-do than crunching numbers. Why outsource your bookkeeping your bookkeeping? To save you from headaches, free up your time and so much more! If you’re ready to hand-off the headache of your bookkeeping, give us a call 973.615.6121 or email bill@billsolo.com.